Forget it, whatever! Since they already claimed that she was a temptress that wrecked the country, she shall overturn the world into complete chaos starting with her beguiling sister, her malicious stepmother, her cruel lover and her heartless family. Let her end the lives that Yama refused to end. She was a pawn in her past life. In this life, however, the world was her chess board. With an alluring smile and a charming figure that enchanted the entire nation, the red-clothed woman wrecked chaos among the lands. She was a vengeful spirit from hell, determined to make those who wronged her pay in blood. Her red dress was akin to fire, but her heart was the coldest ice in the winter. He was stoic in his black robe, yet he was willing to warm her frozen heart. Honestly it´s not bad. I´m sure I would´ve enjoyed this type of plot more had I not read The rebirth of the malicious empress of military lineage beforehand. I suppose I´ve read too many novels with this type of plot about rebirth, given a second chance, revenge, ancient china setting, all-powerful ML, enemies etc so I´m no longer as intrigued as before. This is my most favourite Chinese novel! The feamale lead has come back in her early ege the the story begin. She plans and destroy her enermies by using her last life memory. Half sister, stepmother and the Jiang family, She steps on them one by one until the last person... her ex husband in last life, they all defeat with the male lead help. The story was very excited and worth to read! I love this author! If you haven't already read it, you should read her other novel, "The Rebirth of he Malicious Empress of Military Lineage". I am reading and liking this so far as I wait for translated chapters. Does anyone have the link to the raws for this novel? I am ready to MTL this, too! :D I appreciate anyone that does! I google translated and read this since I loved the other novel this author wrote which I believe is the rebirth of the malicious empress from the military lineage. And yes it is another rebirth novel I really enjoy this genre. I had high expectations and the story did not disappoint but I felt like the latter half dragged a bit. Overall, a really enjoyable read. I have high expectations out of this novel since it's written by the same author of TRMEML and so far I am not disappointed. Obviously there are similarities between Ruan'er and Jiao Jiao. Both have slower pace romance and are very strong that they can carry themselves without the need to be a damsel in distress but this one is even more brutal. First chapter had me go "woah dark!" and while I pride myself for having the stomach to read or watch gruesome stuff, I still reeled myself when I've... more>> read the details of what Ruan'er went through. I'm very excited to know what schemes and revenge she has in store for her Jiang family and the rest. This story is rather similar to The Rebirth of the Malicious Empress of Military Lineage (TRMEML) in a sense of the story progression and a bit of how the romance progress. However, there is very obvious difference. TRMEML is much more lighter in the plot compared to this book. This book’s plot is very heavy and there is lesser romance with more scheming and enemies. The progress of the romance of this book is rather similar to TRMEML where they don’t trust each other at first. However, the difference is that... more>> the male lead is rather attracted to the female lead earlier on the book. Both books are rather sweet in the romance. The female lead in this book is rather vicious and confident. Her main goal is to get revenge on all of the people who made her suffer. And the list of enemies are rather long and much longer than TRMEML. As readers, we can feel her desperation and sadness through her actions and thoughts. Since unlike TRMEML, she has a vicious and uncaring family members. She does not receive any care and love other than from the male lead and her maternal family. The male lead however is rather mysterious throughout the book. He helps the female lead whenever he knows she needs help willingly. That is also why the female lead slowly trust in him. He is very understanding to the female lead and is willing to sacrifice for her as well. The male lead is also described to do things very efficiently. The plot on the revenge part of the novel contains tackling many enemies that just keeps trying to make use of the female lead or just to prevent the eighth prince success in what he plans to do. To me, I think all of the antagonist deserves the revenge since they just plans to use her as a stepping stone for their progression in better success. The translation of the novel is great and accurate. Great rebirth/second novel. It is written by the same author as "The Rebirth of the Malicious Empress of Military Lineage" so there definitely are some similarities between the two books... especially in the way the 2 male leads' appearances are described lol. 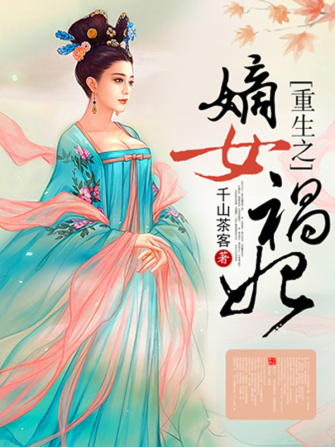 Jiang Ruan (MC of this novel) is different than Shen Miao, the MC from Military Empress, in that she focusses more on actively getting revenge as since she suffered a lot more in her past life (in my opinion) than Shen Miao. There is a lot of satisfying revenge in this book and the villains aren't all super cliche, like a lot of the ones you find in other Chinese web-novels (ie. white lotuses). Be warned though that this novel does get a little intense on describing torture/revenge/past life scenes, so I would definitely advise for you to skip over those scenes if you're faint of heart. The romance is decent in this book, but the Male Lead isn't really that present for the first half of the story. Off the top of my head, I remember 3 instances that he had significant interactions with the MC in the first half. I guess this is kinda good because it's established that the MC doesn't have to rely on the ML and that she's strong/smart in her own way, but I wish there had been a bit more progression between the two. The translators are also doing a great job in capturing the meaning of the original text. This novel has less romance and more politics than Military Lineage. I personally like this story better as the various characters' positions are more fleshed out than in Military Lineage. However, this story has several arcs which drag on a bit, especially toward the end of the story, and the ending seemed fairly rushed and unsatisfying to me. I was skipping a lot of passages in the last portion of the story. MC Jiang Ruan is much more calculating and coldhearted than Military Lineage's Shen Miao, and much better at holding... more>> her own because of it. However, comeuppance for a lot of MC's main enemies (pretty much her entire immediate family) tends to be somewhat lackluster. If you're looking for a rebirth revenge plot, this is okay but The Princess Wei Yang does revenge better. Like everyone else said this is similar to Rebirth of the Empress from Military Lineage, nuff said. Other than that, I don't have other comments of the story. Some said it's more darker but ig I have yet to see it like that, since I'm only 44 chapter into the story. I am so into rebirth novels that I dream that I will get the chance too! I like the FL, she reminds me of Miao Miao (Shen Miao) from The rebirth of the malicious empress. She carefully plans her move. So far, I have no idea who is the ML. But enjoying the story. Meraki translations are awesome as always. They chose good books to translate! From the first chapter you can tell the revenge will be good and complex. Her fate in the first life was worse than Shen Mao of RMEML, I was really shocked. The antagonists are a bit sadistic IMO. I look forward to seeing her enforce justice and keep around at least a few people who cherish her, her life was truly pitiful. I'm in love with this novel. Everything from the plots to the characters' description is developed extremely well. I was actually hesitant if I should read it at first since it doesn't have many chapters yet. And yes I do feel a little regretful now for not waiting until it's had more releases. I'm craving for more.. Huhuh.. Thank you for translating this awesome novel. Love you so much. Hopefully, you will release more chapters to satisfy this infatuation of mine. One of the best revenge novels I've ever read. Jiang Ruan is so likeable and smart. The villains are just despisable— Jiang Su Su is someone I want to strangle every time she makes an appearance. I love the schemes as well, and although the ML has not really existed much, he has the same ridiculous descriptions as XJX in the Rebirth of a Malicious Empress.